Aside from the Jordan CP3.VII and the Jordan Super.Fly 2, the tenth signature shoe of New York Knicks superstar Carmelo Anthony is also set to make waves. 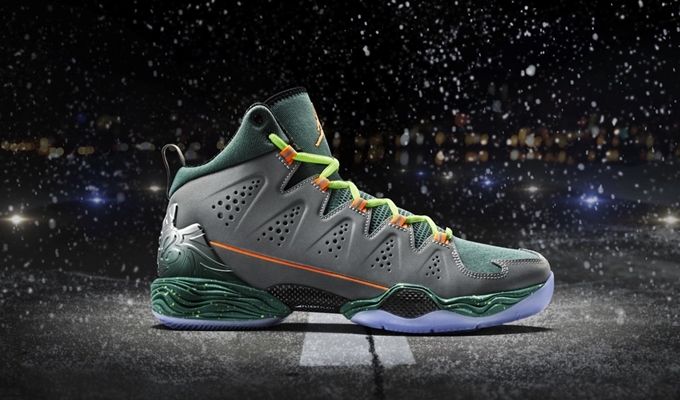 The “Flight Before Christmas” edition of the Jordan Melo M10 is set to be released on December 24th as part of Jordan Brand’s 2013 Christmas Pack. This edition is officially listed as the Reflect Silver/Total Orange-Jade Glaze-Volt colorway of this signature sneaker, which is expected to be worn by Anthony in their Christmas Day game against the Oklahoma City Thunder. Make sure to get your own pair once it hits the market!